Correct us if we are wrong, Randy, but isn’t “Judenrat” a term from World War II and the collaboration between some Jews and the Nazis? As far back as 1933, Nazi policy makers had discussed establishing Jewish-led institutions to carry out anti-Jewish policies. The concept was based upon centuries-old practices which were instituted in Germany during the Middle Ages. As the German army swept through Poland and the Soviet Union, it carried out an order of S.S. leader Heydrich to require the local Jewish populace to form Jewish Councils as a liaison between the Jews and the Nazis. These councils of Jewish elders, (Judenrat; plural: Judenräte), were responsible for organizing the orderly deportation to the death camps, for detailing the number and occupations of the Jews in the ghettos, for distributing food and medical supplies, and for communicating the orders of the ghetto Nazi masters. The Nazis enforced these orders on the Judenrat with threats of terror, which were given credence by beatings and executions. As ghetto life settled into a “routine,” the Judenrat took on the functions of local government, providing police and fire protection, postal services, sanitation, transportation, food and fuel distribution, and housing, for example. You called a member of the community a “Nazi collaborator?” Simply on the basis that he disagreed with you on the panel that he attended and you did not? We can’t think of a term that would offend a Jewish person more than “Judenrat,” but you pulled it out of your bag because why? Do you think you made any friends calling him that? Do you think you represented the people of Brevard will with that attack? Did you think that would be an example of Republican honesty? Do you think that your name calling advances the issues or people’s understanding of the issues, between Palestine and Israel? We know it doesn’t so your only reason would have been to try and shut the man up for saying something that you disagree with. It is not the first time you linked people who disagree with you something associated with Nazis. Daren Gerrish, a U.S. Army veteran who served two tours in Afghanistan, wrote in a post he “was quickly blocked” from commenting on Fine’s official Facebook page. He later told FLORIDA TODAY he wasn’t necessarily against the bill but wanted to learn more about it — and whether “there was any inherent bias as it related to (Fine’s) heritage” — before taking a stance. 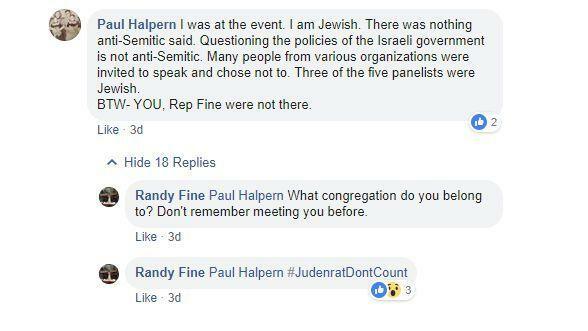 Fine, who’s believed to be the only GOP Jewish member of the state Legislature, responded: “I don’t block for much, but anti-Semitism earns you a quick one.” That unleashed a back-and-forth between Fine and dozens of commenters that included nasty comments by Fine and others. It’s almost Pavlovian with you Randy. Someone disagrees with you and you label them a Nazi. That’s terribly dishonest and void of rational thinking. It appears Randy, that you have a “trigger” where people who disagree with you are “bigots” in your mind. In a tweet on April 15, 2019, you proudly displayed a letter that you had written to the management of WMMB to remove Bill Mick from the air. We are no friends of Mick and have always believed that his knowledge and especially his knowledge of history lacks depth, but you want him gone. FIRE shares the concerns of the bill’s sponsors that anti-Semitism on college campuses appears to be on the rise. We support the provision in the bill adding religion as a protected class at institutions of higher education. This sensible step would strengthen institutions’ ability to address anti-Semitic harassment while also providing protections for students subject to harassment motivated by Islamophobia, hostility to Christianity, or any other faith. Despite our support for that provision, we must nevertheless oppose HB 741 because its solution to the problem is unconstitutional. The central constitutional defect in HB 741 is that it attempts to define anti-Semitism in law. Defining anti-Semitism is a mistake. Generally speaking, in the United States, we don’t statutorily define terms like racism, sexism, or other forms of prejudice. Instead, we prohibit discrimination on the basis of broad protected classes, like race, religion, and gender, and let courts evaluate cases in their individual contexts. You even called for the removal of Sen. Audrey Gibson, the leader of the Senate Democrats in Tallahassee who voted against the bill for the correct belief that the bill is divisive as it only sought to protect one religion instead of protecting all religions – and even no religion. If your bill had protected anti-Christian acts, anti-atheist acts, anti-Muslim acts, etc., it would have gotten widespread support. Instead, you made it about one religion. Is it really your position that only members of the Jewish faith deserve protection from attacks based on their faith? If you do, can you not see how that would be considered divisive to protect one group but not another? The funny (sad) thing about the Bill Mick letter tweet is that you claim you are calling out “bigotry in [your] own party,” clearly missing the fact that you are a bigot as well. You are against freedom of speech. You are against the “marketplace of ideas.” You are for punishing those who disagree with you. You, sir, spew out the same type of “hate speech” you decry and your own bill would have criminalized. 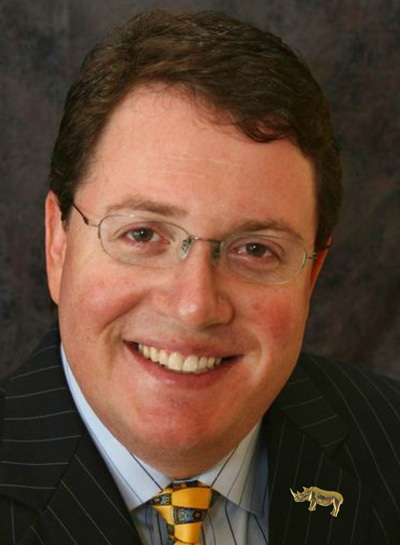 It is bad enough that you expose your bigotry and inability to disagree while acting like a 13 year old teenager, but your conduct reflects negatively on other Republicans, other conservatives, other members of the Brevard Republican Executive Committee (BREC,) people of the Jewish faith, people of Jewish lineage, and the 160,000 people people in Brevard County you were elected to represent. Your friends here are Raised on Hoecakes. NOTE TO READERS: Philip Stasik, the president of the Space Coast Progressive Alliance which put on the open forum, has an opinion piece in the Florida Today about Fine and his comments. Hate speech has no place in our public or private discourse. Ever. Birds of a feather, we suppose. We have several elected officials who are too thinned skinned to be in a position that is held to public scrutiny. Speech can be offensive or even obscene, but it’s still constitutionally protected FREE speech.